The French don't recognize ADHD (Attention Deficit Hyperactive Disorder) as a chemical imbalance that opens the Pandora's Box of pharmaceutical drug addiction with harmful side effects. They don't raise their kids on fake hyper sugar and chemical processed foods either. Instead, school kids are treated to chefs in training preparing lunch meals from nearby freshly grown produce and local livestock. In general, the French are more food health conscious than Americans. They believe in fresh well prepared food for all. They don't allow chemically bleaching wheat flour for white bread. They let the sun do that, which probably enhances micro-nutrients instead of adding toxins. The ADHD diagnosis rate in America is 19 percent. In France, it's .5% – a half of one percent. And the socialization of that half percent is not done chemically. It's done socially and/or with talk therapy, the old fashioned way. No doubt a lot of fake kiddie cereals that dominate our food aisles are eschewed in France also. That's probably aided by much less TV advertising of fake foods loaded with food coloring chemicals and sweetened with added excess sugar and HFCS to hook the kids. All of those items contribute to hyperactivity. And perhaps less TV with MTV type editing activity that prevails in much of our visual entertainment these days makes it easier to be more one pointed and patient. Maybe the French kids get more outdoor activity, riding bikes around, enjoying playground activity without excess “helicopter” supervision, and playing soccer. That's the sort of activity that has declined considerably in the USA. Instead, video games and TV watching are considered the safe way to raise kids. All sorts of terrible things outside, you know. Must guard the kids and make sure they won't get dirty or hurt. I'm glad I grew up when kids were riding bikes all over, even to school and back, building “forts” in overgrown empty lots or wooded areas, and occasionally engaging in slingshot and BB gun fights whenever we weren't playing sandlot football or baseball under the intense Miami sun. Even with all that, enough schooling was boring, inviting classroom hijinks and restless behavior. But were weren't put on pharmaceutical drugs. Here's a type of school outside the public school system that would be less energetically restrictive while offering subjects of individual interest. 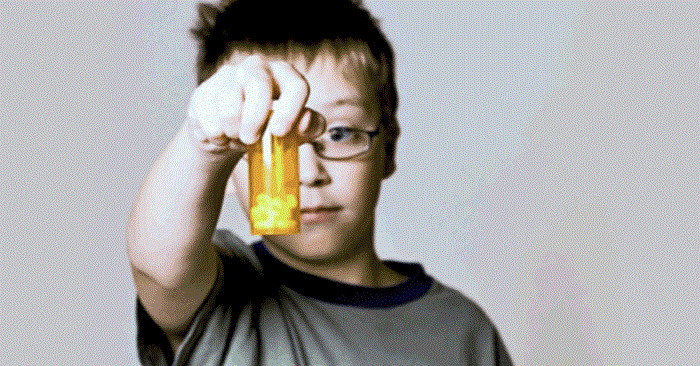 The Fake Disease That's Turning Kids Into Drug Addicts. Psychiatrists traded in their note pads used in talk therapy for prescription pads as their professional stature diminished a few decades ago. As MDs who did talk therapy, they could legally write prescriptions while their non-MD certified psychologists and counselors could not. So eventually a collusion between psychiatrists and Big Pharma created manuals that listed disorders by symptomatic observation and psychiatric committee consensus to create the drug for that disorder. Fake diseases created for fake medicines. That in a nutshell was the brain chemistry imbalance explanation for behavioral and mental disorders, and just like viruses, Big Pharma had a chemical for all of them. So then psychiatrists could have patients visit for 15 minutes then prescribe them pharmaceuticals. Future visits would determine future prescriptions depending on if the patient hadn't gone on a killing spree or committed suicide from the drug's side effects. This created disease has resulted in putting children as young as three years old on pharmaceuticals like Ritalin (methylphenidate) and Adderall (amphetamine, dextroamphetamine mixed salts). These are both chemically similar to what Walt of the “Breaking Bad” TV series was selling on the amphetamine black market. Now almost 5 million kids in the U.S. who have been observed by school faculties and other facilities to be a behavioral nuisance or not with it scholastically are on Ritalin or Adderall. Then there are the antidepressants for worse cases. This is a drug culture that's totally legal and just as socially and physiologically dangerous as hard street drug activity, you know, the “war on drugs” kind.